2019 is going to be a very exciting year for RooDog. We have some new products and upgraded models coming soon. 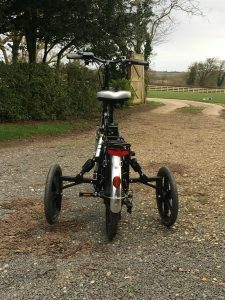 Today we have been testing our adult stabilisers / training wheels on our 20 inch wheel Bliss folding electric bike. The stabilisers will fit most bikes from 20 inch wheels up to 29 inch wheels. Could these be a game changer for you or someone you know? Available now! Due to an ongoing disability these adult stabilisers will keep me safe and stable. Are they available yet as I will need them before July for our summer holiday? Very interesed in your adult stabilisers for my wife who has lost her confidence & ability to balance on her bike now. This seems to have happened after an illness last year. When do you expect they will go on sale and at what price? 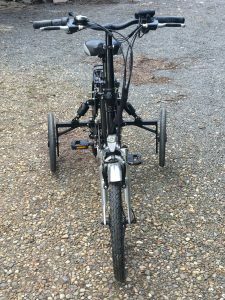 Having larger wheels than any I have seen plus being suitable to fit on a folding electric will be of great help. Can these side wheels be removed easily for travelling? 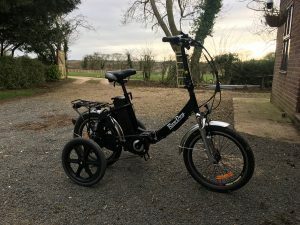 Currently both myself and my wife have Brompton folding bikes. I am looking to upgrade to electric, although we prefer hub gears as they are less likely to get damaged when packed away in our motorhome. 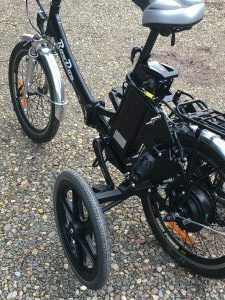 The slightly large wheels of your folding bike should give a better ride over the forest trails. I do need something I can fold away and put inside my motorhome.